London South Bank University is committed to promoting equality of opportunity for its staff. The University’s goal is to create an environment that attracts and retains the very best staff, where everyone feels that their achievements are valued and rewarded equally. Since 2009, LSBU’s gender pay gap has steadily reduced from 13.25% (mean) to today's levels of 6.6% (mean) and 5.3% (median). This is significantly lower than the UK's higher education sector pay gap of 16.1% (mean) and 15% (median) and the national pay gap across the UK, which is 17.1% (mean) and 17.9% (median) respectively. LSBU has recorded a balanced workforce in terms of gender with 53% of staff being female. The pay quartiles are balanced in all but the lowest pay quartile (38.2% male, 61.8% female). Markos Koumaditis, Acting Director of People and Organisation at LSBU, said: “This year’s bonus pay gap has shown a reduction since last year, however there is still more to do and we will continue to monitor, review and strive to improve year on year. Following our work on the Athena Swan and Race Equality Charter marks we now have a robust road map in place with actions spanning the next four years designed to ensure that we continue to make positive progress." 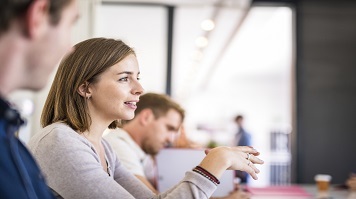 Read LSBU’s 2019 gender pay gap report to see our aims, challenges and plans.